This is an essential material for manufacture of Wired Heated Windshields. It is used as the near-invisible heating element within the glass viewing area, and is the obvious choice due to excellent tensile strength (even at very high temperatures) and good corrosion resistance. 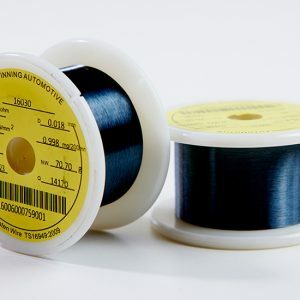 Most high volume automotive customers will use wires with around 20 Microns diameter, however, various in-field demands can mean different diameters are needed, and a wide range are available. 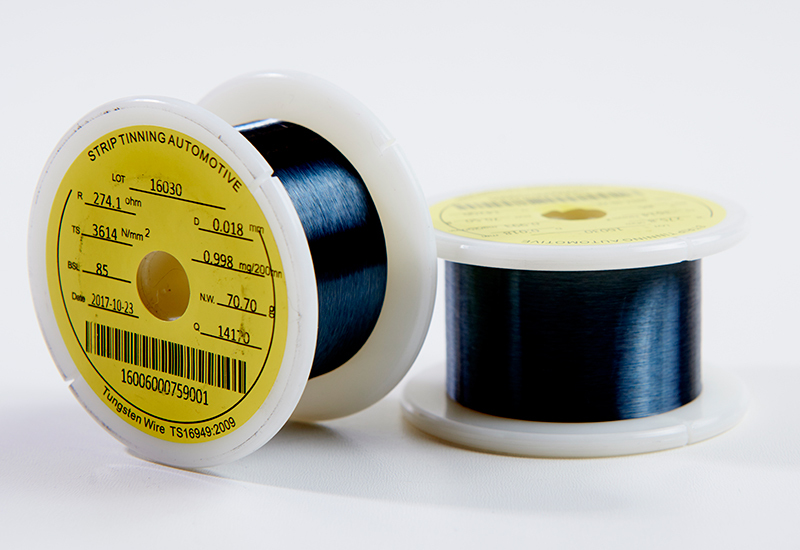 Our customers wind the tungsten wire vertically or horizontally on to their PVB sheet. The wires are then sandwiched at the top and bottom of the PVB between two lengths of busbar. The completed PVB sheet is positioned between the two glass sheets that make up the laminate, and the busbar is completely hidden behind the screen’s black edging – now this material composite is ready for the autoclave.